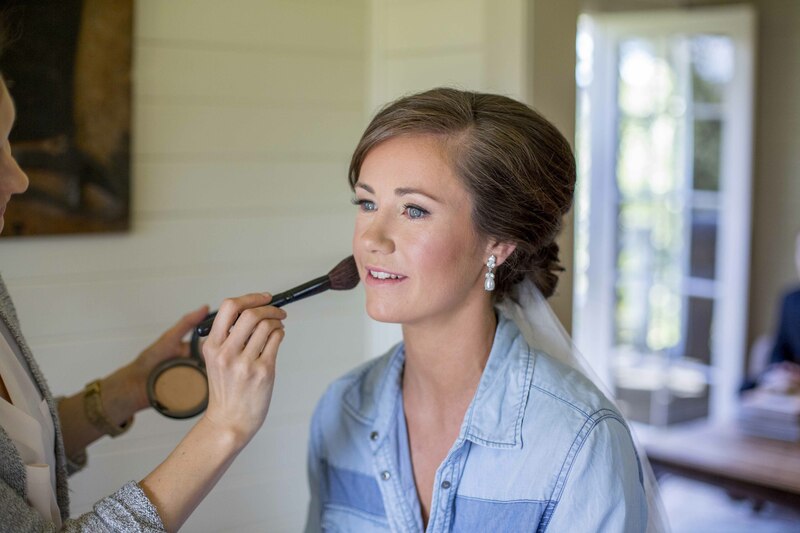 A couple of ideas to help you look and feel your best on your wedding day..
Lashes are one of my absolute favourite ways to enhance your beauty without having to do much else. Whether you opt for lash extensions or a less permanent false lash option that lasts the day- I strongly recommend some lash enhancement for a wedding day. Almost every bride you see on my Instagram or in my portfolio (or basically that of any other bridal makeup artist!) has soft lash enhancement with natural false lashes. These lashes define the eyes beautifully and if done well, it shouldn’t really be obvious that they aren’t your own, natural lashes. The false lashes I use most often and strongly recommend are individual lashes (small clusters of lashes applied individually as opposed to a strip lash). I find these lashes suit everyone as they are subtle but as their look is customiseable, I can keep them very subtle and natural or build them up to be full and soft and add length where needed so there is a beautiful definition to the eyes. 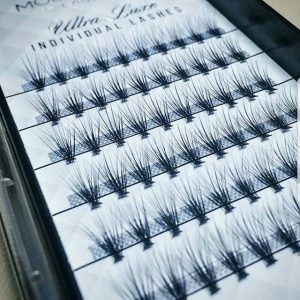 These are my favourite lash option as they can be styled to suit all tastes, last all day and are feather light, which means you’ll hardly notice you’re wearing them at all. They are applied with a waterproof glue that lasts all day but is easy to remove when you want to take them off. 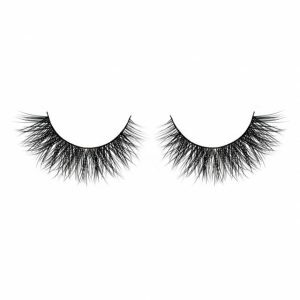 The glue is very soft and stretchy so does not damage your natural lashes at all. Strip lashes are also available if you prefer a more exaggerated lash look. I have both natural and more dramatic styles of these available too depending on your personal preference. 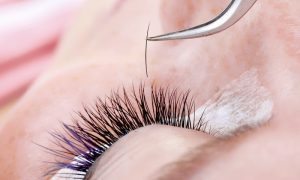 Eyelash extensions have gained popularity over the last few years and look beautiful for a couple of weeks as they are be semi permanent (they fall out gradually with your natural lash growth cycle). As they can be quite expensive and require a bit of maintenance they are not the right choice for everyone. I do love them for special occasions though. These can be an option for your wedding day but make sure you have a practice run with your lash specialist in the months leading up to your wedding to make sure you like the look and have no reactions to the professional glue they use. ALWAYS be very careful in choosing a professional lash extension expert. I find most brides these days opt for a spray/ fake tan for their wedding day. Even if your skin tends to be on the fairer side, a very light tan can give a subtle colour which often looks really pretty against a white or light dress. I provide a spray tanning service in addition to makeup and would be happy to provide you with this service if needed. I’d recommend having a trial tan a few months out to make sure you are happy with colour level and tone and don’t have any reactions to the tan product used. Your choice of tanner will likely have some tips for you prior to going in for your appointment but well exfoliated skin is a must. If you have any dry patches the tan tends to “grab” on those and your colour can look patchy. Definitely give your skin a good scrub before you go- focusing especially on elbows, wrists, knees and ankles. Generally, but especially if you have a dryer skin type it is often safer to avoid having the spray tan done to your face as well as the body. The main reason for this the tanning product can sometimes dry out your skin even further. If you choose not to spray tan the face, I recommend using a tanning product specifically designed for that area. A great option for this is Dr Dennis Gross Alpha Beta Glow pads for face. They are an amazing product for tanning and exfoliating the face at the same time. The colour is very natural and is even safe to use on a dry skin type. Alternatively I can recommend some gradual tanning creams for the face also. I can supply these for you at a small extra cost, or if you want to purchase a whole box of Glow pads they are available at Mecca Cosmetica. Skin preparation, both in the lead up to the wedding day and on the day itself is incredibly important. Makeup truly only looks as good as the skin that is underneath and the best canvas for makeup is exfoliated, hydrated skin. The beauty of having your skin in it’s best condition is that you can also wear less makeup and look amazing. As an added benefit makeup sits well and also lasts longer. A smooth, even skin texture is incredibly important for makeup. Similar to the way fake tan can grab on patches of dry skin, foundation will do the same if you have areas of dryness on your face. When this happens, skin looks especially “cakey” which is a look that most people are very much trying to avoid! It can seem excessive, but it’s good to start a skincare routine a few months out from the wedding to ensure your skin is in it’s best possible condition for the day. A rejuvenating serum underneath your moisturiser ( especially at night). This product will vary depending on your skin type and concerns but some good places to start are hyaluronic acid if your skin is dry/ dehydrated, or vitamin C or retinol (if your skin tolerates it) for brightening and resurfacing. If you’re stuck or having more serious troubles with your skin- pop into a skin care clinic or facialist you trust. – A good moisturiser and eye cream suited to your skin morning and night is also very important. If you want to go the extra mile and have things like facials make sure you DO start having those things done a few months out. I strongly suggest NOT trying any new products or experimenting with treatments in the month leading up to the wedding. If you have a flare up or a reaction, this is something that can often take weeks to go down. 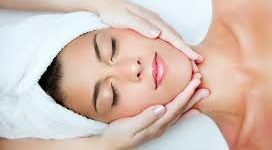 Some amazing treatments to consider are gentle peels at a reputable or well recommended skin care clinic and traditional facials to boost hydration and the texture of your skin. These clinics will likely also provide a treatment called Omnilux which is very powerful light therapy consisting of 3 different coloured lights (each focusing on different skin concerns) that can boost collagen, reduce scarring, heal tissues, and help plump the skin. These Omnilux treatments are an amazing option as they require no down time and can be done in the weeks leading up to the wedding and even a few days before. Of course any of these recommendations/ treatments can be an investment of time and money so are not for everyone but feel free to use this information as a guideline if you’re not sure where to start. I hope you found it helpful! As always, if you have any questions feel free to get in touch with me anytime.